If you read the news, you have probably become aware of the fact that the price of Bitcoin has been consistently going up for quite a while. At a point, you probably realized you didn’t want to be the one person to miss out one of the best investing opportunities of the last decade, so you want to get in. Bitcoin prices may be constantly going up, but they are also very volatile, which can scare away many investors. You will see many news stories covering this from various angles. Some will talk about how quickly Bitcoin has gone up and others will talk about the most recent drastic dip (despite the fact that Bitcoin is still up on the month). The point is volatility creates risk and scares away the investors who aren’t willing to lose all the money they put into it. The funny thing about this is that the volatility actually works to create the investment opportunity. If there was a sure-fire way for investors to make 50% returns per annum consistently, then everyone would be throwing their money in as fast as possible. But the volatility means risk, and not everyone is willing to handle that. So, the hard part of investing in Bitcoin is figuring out what you want your strategy to be. There are a few different ways to approach it, and you will need to tailor your approach to whatever suits you best as well as what you think will yield the highest returns. Warren Buffett has popularized the investment approach of just buying a security and holding it forever or until your original thesis about the security changes. This appears one of the most popular approaches investors take with Bitcoin. When presented with the option to day trade and be smart about their management of Bitcoin, some investors just realized that it wasn’t worth it and would be safer to buy Bitcoin for a long time. This is almost a fear-based approach that is optimized to avoid any of the big missteps. The basic idea is you think Bitcoin is a winner, so you hold Bitcoin. The cryptocurrency jargon “HODL” came from a famous misspelling where a Bitcoin enthusiast was explaining how he realized he couldn’t beat the traders at their game and didn’t want to lose money trying to be the smartest guy in the room. Since then, it has caught on as an explanation for someone’s long-term investment strategy. Not necessarily in direct opposition to HODL, but trying to get a little fancier, is the idea of buying Bitcoin on the dip. There are invariably going to be drops in the price, and that is when you buy the currency. This is a form of market timing but doesn’t mean you are making frantic trades to eke out every last bit of profit you can. You are just being an opportunist at a time where most people are being foolish and selling off their cryptocurrency because they think this time is the end of Bitcoin. Buying when others are fearful is another precept of Warren Buffett, which he borrowed from Ben Graham, and is a great way to guarantee bargains when you were already planning on buying more of it. Another approach you could take to acquiring your Bitcoin is buying a certain amount every month. This is referred to as dollar cost averaging and can apply to any investment. The opposite of this would be buying all your Bitcoin in one lump sum and then never adding to this position. Diversification is important because it allows you to participate in the upside (and downside) of many different securities, which lowers the overall risk of your portfolio. Dollar-cost averaging has you do this, but rather than diversify over an asset class, you are diversifying over time. Buying Bitcoin at a bunch of different points in time, you are ensuring a less risky outcome for your portfolio. You get more advanced when you start analyzing charts and looking for trends in the prices of these securities. Day trading has always existed as a potential career, but with the emergence of these highly volatile cryptocurrencies, it has become even easier to make money (or lose all of it). There are more than a hundred different trading platforms and exchanges available for those who think they can beat the market and take some money off the table. The big thing to remember here is for every bit of profit you make, someone else must be losing to subsidize that. The money doesn’t come from nowhere. Trading is a high-risk, high-reward way to handle your cryptocurrency investments. Whether you HODL or use any other strategy, you are still participating in the upside of cryptocurrency along the way. No one knows the exact time which is appropriate for buying cryptocurrency as volatile as Bitcoin. Having learned about all the different ways, you can go about managing your cryptocurrency investments. It is now up to you to determine which method is the most suited to your particular needs. You might not have enough time to learn about trading, in which case you would probably want to try dollar-cost averaging. Or if you want to keep putting more money in, you can buy every time there is a noticeable dip below the trend. This would be closer to a day trading version of buying the dip. 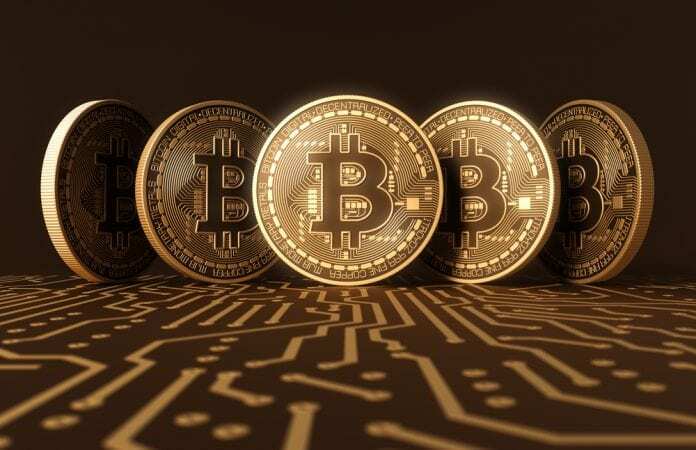 The point is that there are many different ways to approach your acquisition of Bitcoin, and it all depends on how much money you want to put in and what your risk tolerance is, rather than the time when the purchase is to be made.